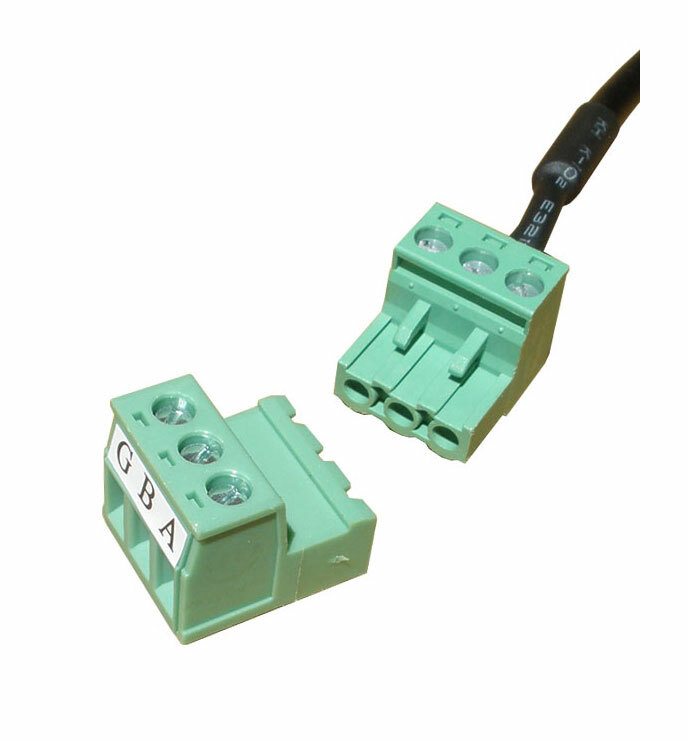 RS232 to RS485 / RS422 EX.PWR. 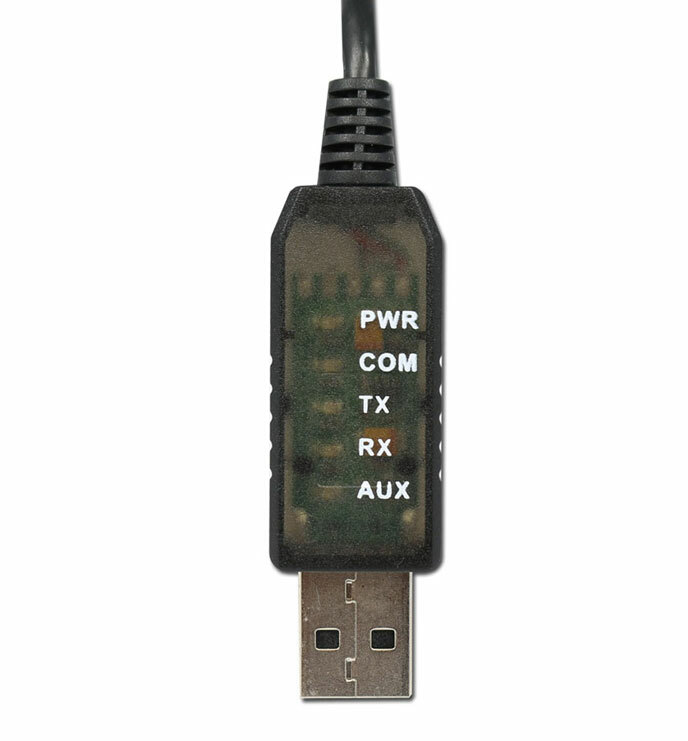 This is a compact version of the USB to RS485 converter. 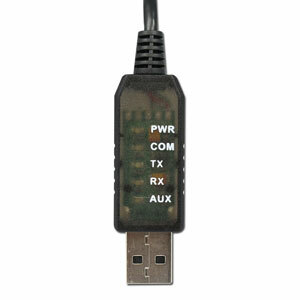 I has the converter circuitry built directly into the USB housing which makes it ideal for applications with limited space or if you like to have just the communication wires available without the converter part. The processor chip is a FT232BL from FTDI so the reliability and performance of this converter is guaranteed with all newer operating systems. The USB housing which encloses the converter circuitry is made of half-transparent black plastic which makes it a strong and durable converter. Indication LED lights for power, TX, RX, COM status and 5V limit makes it easy to see when data is present and is an advantage when troubleshooting. Power to the converter is drawn from the USB port so no external power supply is required. The serial side of this USB to RS485 converter is terminated in a terminal header with 3 terminals, one each for TX, RX and GND. 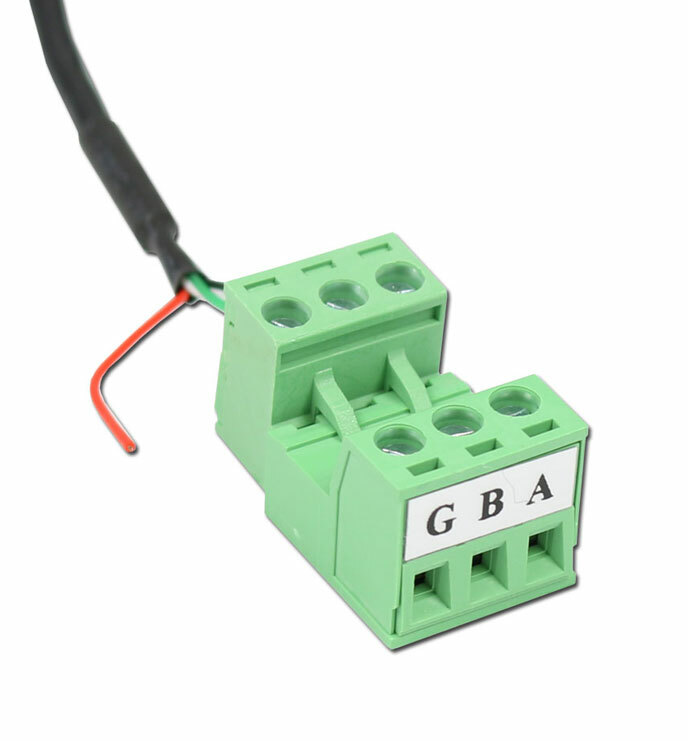 There is also an optional 5V power wire which can be used to power your serial device. 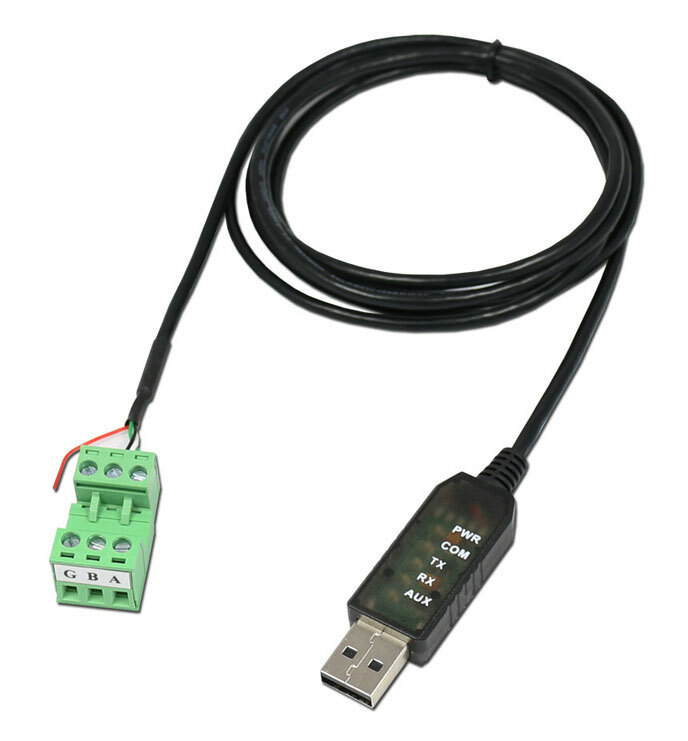 This USB to RS485 converter has built-in electrostatic protecting which provides effective protection against common static electricity and other high-voltage spikes however if you need protection against high voltage surges and ground loops or need a converter for industrial use we recommend an optical isolated USB to RS485 converter.